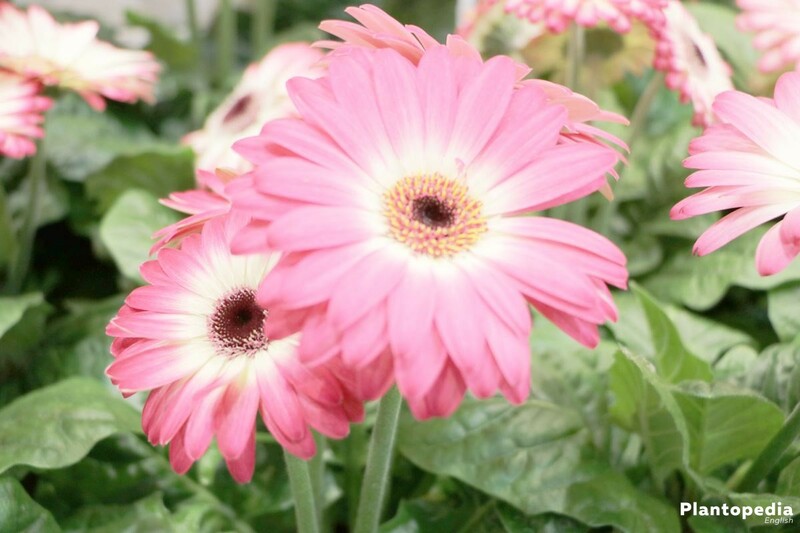 The gerbera belongs to the genus Asteraceae and is one of the most popular cut flowers in existence. Who doesn’t want to admire this true beauty only in a garden or a vase can get one as a houseplant. 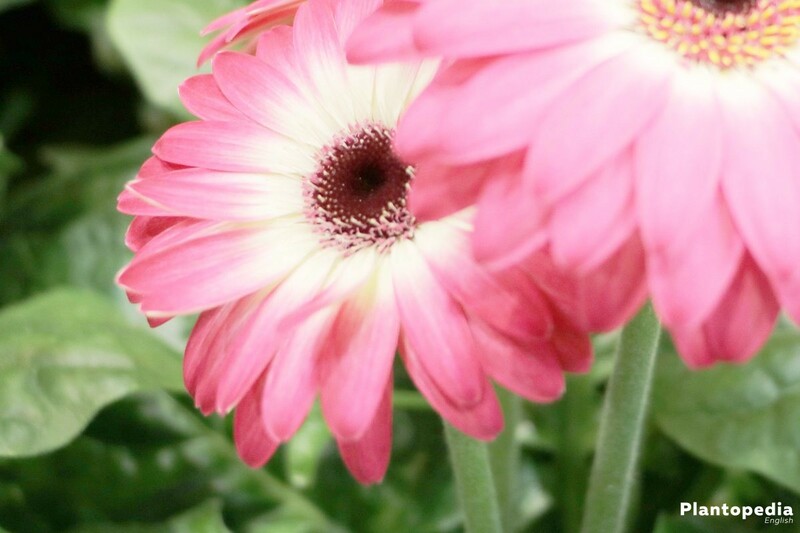 This way one can enjoy the gorgeous Gerbera the whole year. A Gerbera offers pure blaze of colours: the beautiful plant is blooming in many colours such as red, orange, yellow, violet and white. There is almost no colour you can’t find. Due to its fine hairiness it feels wonderful velvety and so is touchable without further ado. Taking care of a Gerbera as a houseplant is not very easy though with a little sensitiveness it is very doable. 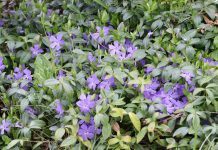 The effort is very much worth it as the plant will thank you with a wonderful flowerage. Most Gerbera breedings are crossings of different species from Africa. 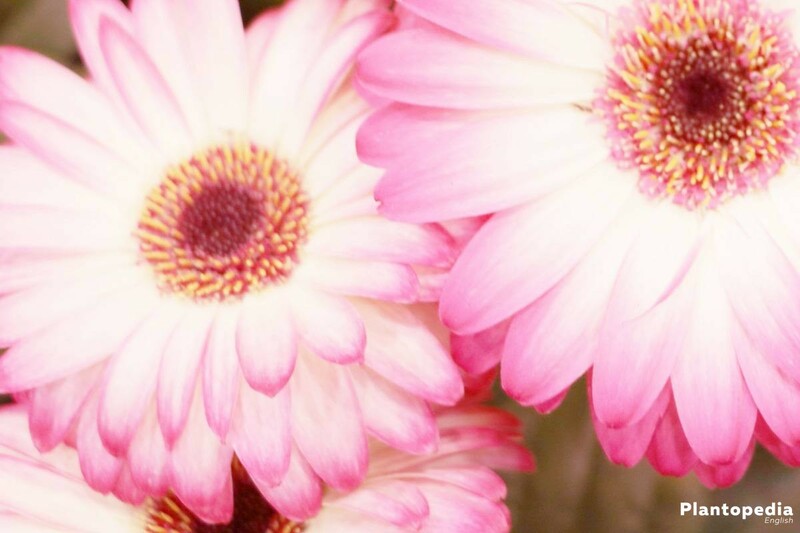 In the past the Gerbera was originally called the “Ethiopian aster”. The Dutch Jan Frederik Gronovius described the plant and named it Gerbera after the distinguished Doctor and Botanist Traugott Gerber. 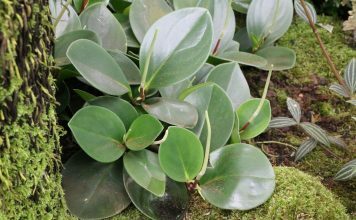 The first exemplar of the plant reached Germany at the end of the 19th century. Different trials of crossing existed in Cambridge from the year 1890. Nowadays there is even a winter proof kind of Gerbera, that holds up to temperatures under 0° Celsius. 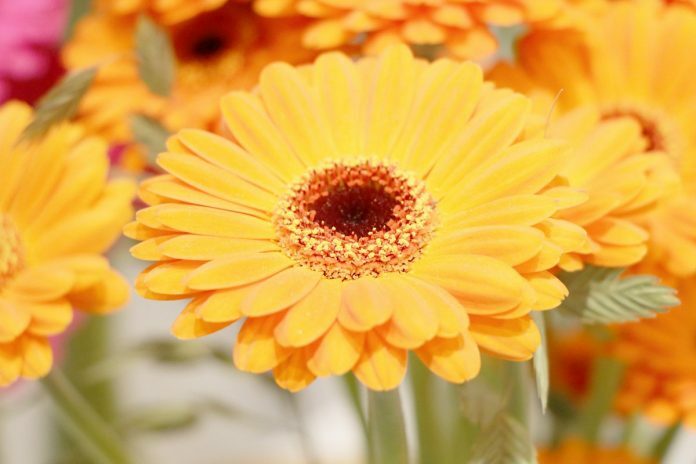 Gerberas can be maintained as a houseplant and have many admirers as a cut flower as well. This beautiful plant, blooming in many colours needs a lot of care as is visible in the following guidance. 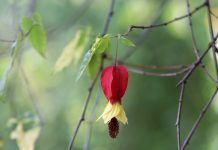 In exchange you can enjoy a wonderful plant with a stunning flowerage. The effort that is necessary for this is manageable and can be handled by anyone. As a houseplant the Gerbera needs a bright location. 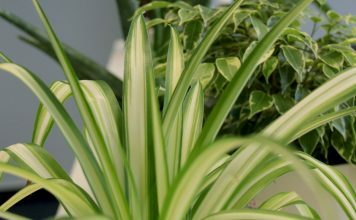 Pay attention so that your plant receives lots of sunlight but doesn’t have to handle the midday sun at the window. Generally Gerberas can’t handle very high temperatures. 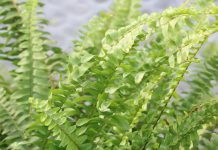 In summer it is possible to put the plant on a balcony or terrace but midday sun should be avoided here too. Ideal is the morning or evening sunlight at a temperature around 20° Celsius. Also you should ventilate your room regularly as the Gerbera doesn’t handle warm stagnant air very well. The soil should be loose and contain a high porosity as well as sandy parts. It is also possible to use common soil and mix it with a little coco peat or pearlite. This way you gain a higher porosity so that the substrate becomes more loose. You don’t need to buy Gerberas, you can just sow them yourself. For this you need either seeds from a specialist shop or fresh seeds from a Gerbera. It is safer to buy the seeds in a specialist shop as they usually have a high capability to sprout. Usually about two to three weeks pass until the seeds sprout. When the seedlings are about three centimetres high you prick them. 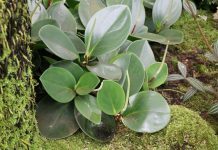 The small plant should be replanted into pots when they are about eight centimetres high. For this you should use loose and nutritious soil. Also the pots should not be standing too close to each other as the plants would not get enough air. It is best to repot a Gerbera in spring. Especially older plants which have their roots growing out of their pot should be repotted urgently. During the repotting you can also split and like this purposefully propagate your Gerberas. The plant should not sit too deep in the ground and the upper part of the roots has to be visible. After repotting the Gerbera needs a little time to “acclimatize”. After that the plant should grow without further difficulties if all requirements are given. A Gerbera needs enough liquid. This means you should pay attention to always keeping the root ball slightly moist. This needs a bit of carefulness as the plant reacts to dryness just as badly as to water logging. This would have consequences such as leaf abscission and root rot. Generally you need to water more in summer than in winter. 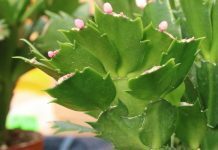 It may also be necessary to spray the plant with water and like this increase the humidity if the air is to dry and stagnant. 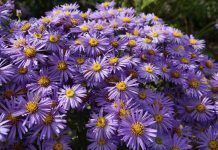 Between the months of May and September it is recommended to fertilize the plant. For this you should best use liquid fertilizer. The fertilizer is added into the water in a weak concentration. A purposeful fertilisation can help with a healthy plant growth and a delightful, persistent blooming. To split the roots of an older Gerbera the plant must first be lifted out of its pot. Then you cut the roots in separate parts, each of them containing at least three eyes. Put each part in a new pot with a sufficient amount of substrate and carefully water it. The best time for doing this is the end of May or the beginning of September. Producing cutlings may just be the easiest method to propagate the Gerbera. Just cut the cutlings in spring. They should be about five to eight centimetres long. Then remove the leaves and put all cutlings into a glass of water. The glass should be put into a warm location. The cutlings then grow roots. 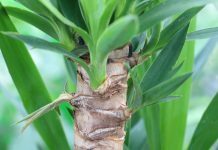 As soon as the roots are about five centimetres long, plant the cutlings into a pot. 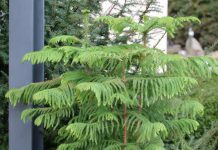 From autumn to spring the plant ideally overwinters in a bright spot at a temperature between eight and 12° Celsius. During this time the Gerbera rests, which lets it produce a wonderful flowerage again. You only need to water the plant two times a month during this time and fertilisation is not necessary at all. If such a spot is not available a room will do nicely as well. Here too you don’t need to fertilise. Watering will be necessary a little more often than at eight to 12° Celsius. If it should not be possible to keep the Gerbera at the temperature named above, you can also keep at room temperature all year long. In this case you water it as usual but fertilise it a little less often. Although you need to keep in mind that the Gerbera give out earlier than usual and produce either less gorgeous flowerage or stop growing at all. This is why a year-round keeping of Gerberas at room temperature is not recommended. Gerberas become mostly infected by aphids and white flies. 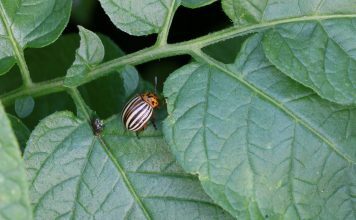 In the early stage aphids can be fought by simply rinsing the plant with water. 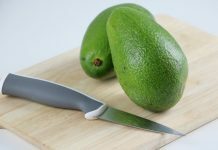 If the infestation is worse household remedies like a mix of a tablespoon of soft soap and a litre of water are a good way to fight it off. Just spray the mixture onto the affected plant. If all of that doesn’t help, you can buy different substances against aphids in specialist shops. Yellow panels are usually most effective against white flies. Just put the panel into the pot of the affected plant. 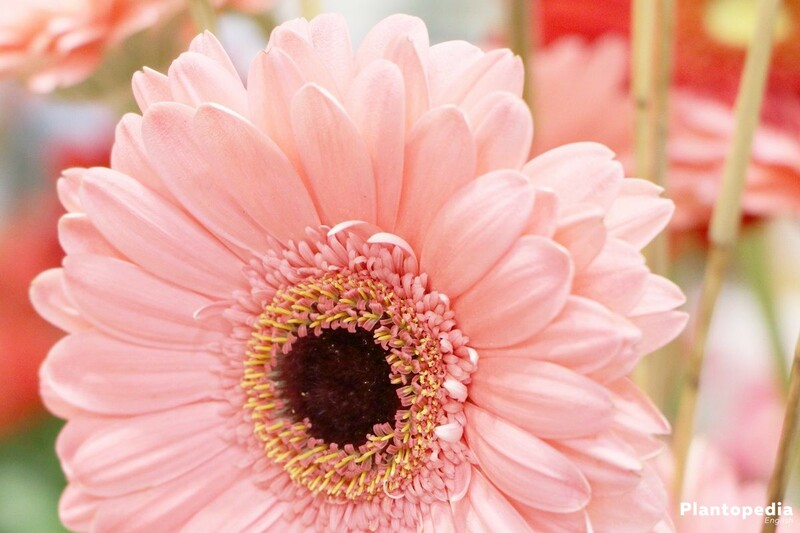 The worst disease that can infect a Gerbera is the Gerbera rot. It will first make the leafs turn fallow green to greyish brown. Then the stem base and the roots will start to rot as well. 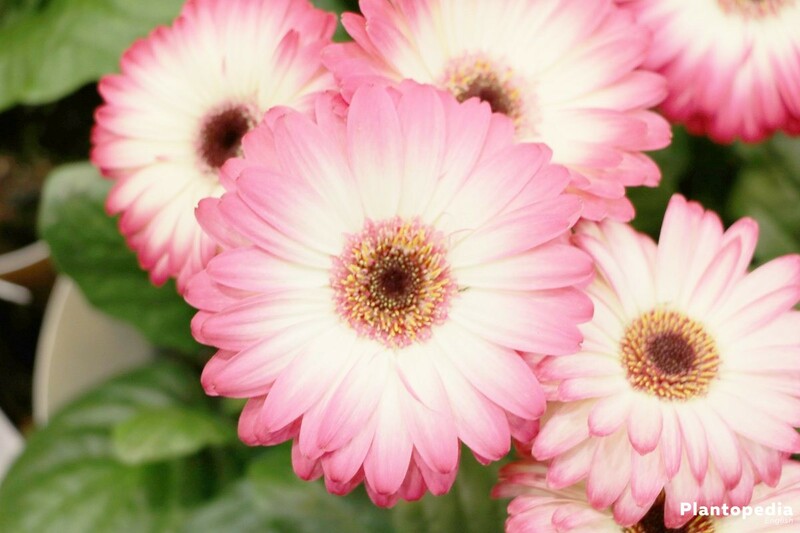 Gerbera rot is caused by low temperatures, too moist soil, too much fertiliser or an acidic soil. If a Gerbera is infected the only solution is to dispose of it. Another disease that often infects Gerberas is grey mould. 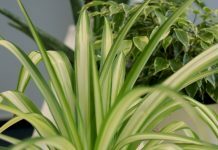 It is caused by the plants standing too close to each other, getting too little fresh air, the substrate being to moist or the room temperature being too instable. 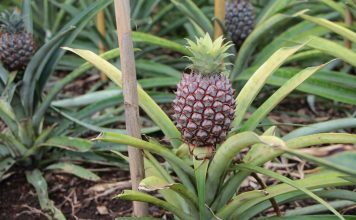 Treat it by plugging of the infected leafs and then spraying the plant with a fungicide to protect it from further infections. Also the keeping conditions should be adjusted so that the grey mould can’t reappear. There are about 40 breeds and multiple hundred kinds of Gerberas known. 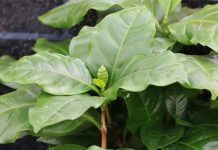 The plants are provided in different, wonderful colour combinations. For example there is the Granderea Red which’s powerful shades of red truly shine in a pot. 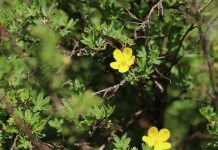 Also beautiful is the Garnivea Sunny with its yellow, shining bloom. 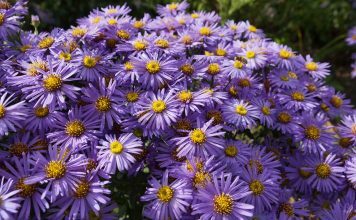 The different varieties of this wonderful plant can be bought all year long. The big amount of different Gerberas is usually distinguished by the size of its blooms. By now there are mini Gerberas as well as standard Gerberas and giant Gerberas. 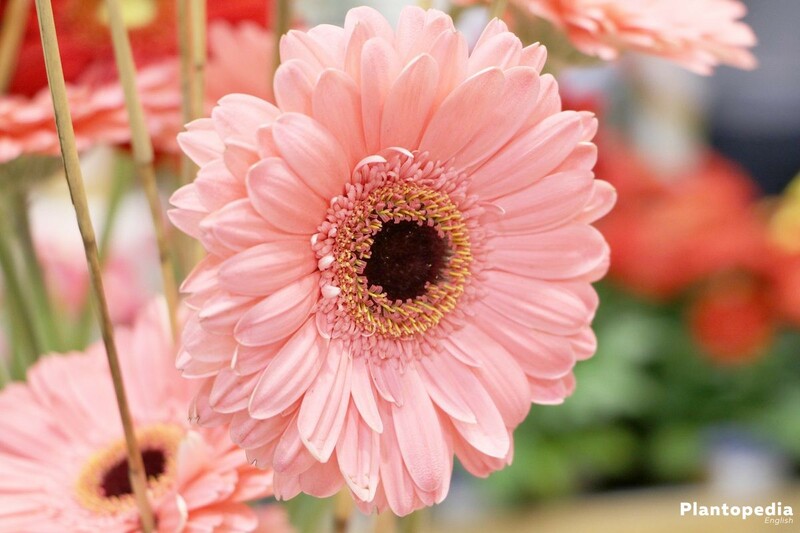 A mini Gerbera usually identifies a bloom diameter of up to eight centimetres. 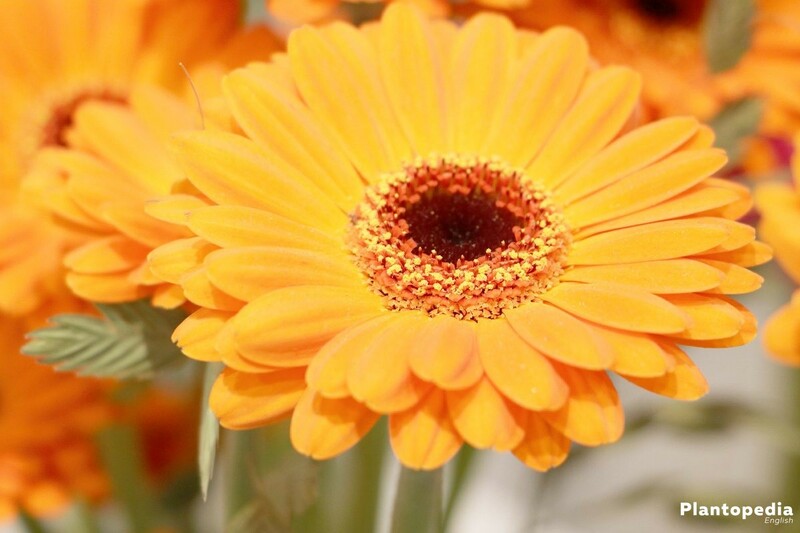 Standard Gerberas include all Gerberas with a bloom diameter up to 13 centimetres. The giant Gerberas, which are counted as specialties, measure in some cases up to 15 centimetres in diameter.